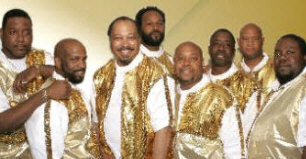 Heatwave may be available for your next special event! Heatwave was formed by the Wilder brothers, Johnnie and Keith, on their discharge from the U.S. Army while in Germany. An advertisement in a music paper yielded Hull and England-born songwriter Rod Temperton. Further members recruited were two more Americans, Eric Johns and Jessie Whitten, a Czech, Ernest Berger, and a Spaniard, Mario Mantese. Heatwave was designed to be a slamming R&B outfit with strong song sensibilities and equally strong grooves to keep them dancing in the discos. It succeeded spectacularly. Between 1977 and 1981 the group enjoyed a series of hit singles in both the UK and USA, including "Boogie Nights," "Always And Forever" and "Mind Blowing Decisions." Despite maintaining some links, Temperton officially left the band in 1977 to forge an impressive songwriting career. Heatwave's own progress was marred by a series of tragedies. Whitten was stabbed to death, Mantese left the group following a severe car crash, while Johnnie Wilder was paralyzed from the neck down as a result of another road accident. Johnnie Wilder courageously remained at the group's helm, producing their work and singing in the studio, while another vocalist, J.D. Nicholas, took his place onstage. The journey of Heatwave is one of a group that surged to international prominence, which threatened to be eclipsed by tragedy, yet continues to shine intensely in the hearts of those who were ignited on the dance floor by the infectious grooves, electrified at live concerts by the fiery showmanship, and warmed by the smooth ballads that have made them internationally famous. Heatwave has continued on. The group still tours, keeping the groove line going around the world. booking entertainment, such as major name entertainers or celebrities, booking Heatwave, booking information on Heatwave, or hiring Heatwave for your special event, or to book or hire Heatwave, or if you are seeking the Heatwave booking agent for corporate entertainment or for a private party. Consider the opportunity to book Heatwave or other entertainers for a wedding, birthday, anniversary, business meeting or convention. If you are not a talent buyer, we are unable to provide Heatwave manager or management contact information. Consider this your official Heatwave booking agency web site – The booking agent who works for you! This company acts as an entertainment consultant or broker/producer and does not claim or represent itself as the exclusive agent, representative or management of Heatwave. Heatwave, r&b and disco music artists - booking agent. This group may be available for your event. Book them if you can. You will have the time of your life!